During the early days, while Agile methods popularity was still at infancy, there were hardly one or two project management tools that catered to the needs of Agilists. Nowadays, I hear atleast a new tool almost every other week. I thought let me list them out here. The following list has both Open source/freeware and commercial tools and the listing is not in any particular order. You can also get additional details for some of the above tools from here. 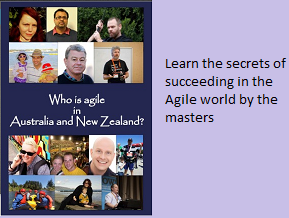 Feel free to share the names of any other Agile PM tools that you might have come across and is not present in the above list. Thank you for so many agile tools. Thanks Sezam for sharing such a wonderful tool. The UI looks impressive. By the way, I fixed the XPlanner broken link. Thanks for the tools collection and post. You have shared a very interesting post.Thanks for sharing. Now a days every thing like business, companies are depending on internet technology. I use Online Project Management Software which is very useful for every business, to manage my projects important data and also like to use Agile Project Management tools for better result.